This article is from restonic.com and can be found here. Just in time for your next trip, Drew & Jonathan Scott, Hosts of HGTV’s Property Brothers, offer wellness-boosting, jet-lag-busting tips! 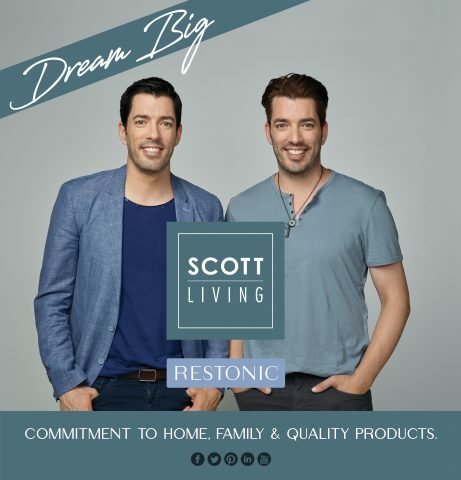 Drew and Jonathan Scott, hosts of HGTV’s Property Brothers and founders of Scott Living Home, travel the world doing what they love most – working on exciting projects, meeting fans and exploring new places. Their schedules can be pretty hectic – they travel 10 months every year – so they’re very aware of the importance of staying healthy on the road. That means not skimping on sleep and maintaining routines that keep them energized and ready to seize every day. 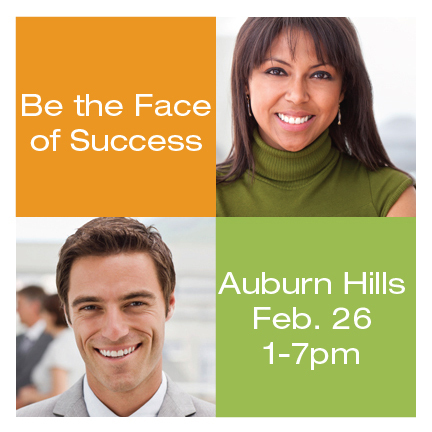 Ready to travel like a Property Brother? Keep reading for the brother’s healthy travel habits. To minimize last-minute travel panic, being organized is key. The Scott brothers heed the advice of experts who recommend planning ahead and preparing days before they leave for their next destination. And don’t forget creature comforts for the plane. “For me, a successful plane nap includes noise-canceling headphones and a comfortable neck pillow,” says Jonathan. The day before you leave for a trip, whether it’s for business or pleasure, try to fit in some exercise to shake off pre-trip stress. And then prep yourself with a great night’s sleep by sticking to your regular bedtime routine. Focus on calming your mind as you drift off to sleep. For last-minute tasks you fear forgetting, have a pad and pen next to your bed to jot them down when you wake. While dealing with jet lag might be unavoidable during long-distance travel, you can mitigate some of its effects before and during the flight. Upon arrival at your destination, Breus recommends getting as much direct sunlight as possible during the day. It’s an effective way to shift your internal body clock to your new time zone. Resist the temptation to crawl into bed when you arrive at your hotel. When you’re just too tired to function well, it’s okay to have a short nap – but no more than an hour. Anything longer will interfere with your circadian rhythms, the cycle that controls your wake and sleep cycle, says Breus. Breus also notes that regular meals will help you get into the swing of your new time zone, even if you’re not hungry. Order a light meal to nudge your natural biorhythm into the local time zone. As you adjust to your new destination, stick to your regular nightly rituals as much as possible. Don’t slip into bad habits even if you’re on vacation, says New York-based Dr. Daniel Barone, a neurologist, sleep medicine expert and author of Let’s Talk About Sleep. His number one rule to getting quality sleep – whether you’re traveling or not – is steering clear of the blue light emitted from electronic devices, like smartphones, laptops and tablets at least an hour before you plan to go to bed. Save your travel research until the next morning since blue light tells your brain to shut down production of melatonin, an important hormone that signals us it’s time for sleep. While that Turkish coffee from the corner café might be delicious, Barone also advises against caffeine after lunch since it can stay in your system for more than 10 hours. It’s okay to have your coffee or tea in the morning. Just be aware of the dangers of late-day caffeinated beverages. And when you return to your hotel room after a long day of sightseeing and a fabulous meal at a local restaurant, forego that post-dinner snooze on the sofa. It will impair your ability to sleep when you’re ready to crawl into bed. If you’re tired but still have an event ahead of you, keep yourself moving to stay engaged instead of sleeping. Once your evening is indeed finished, crawl into bed with a good book – skip the sleep-disrupting nightcap. You’ll be ready to keep exploring your destination come morning.